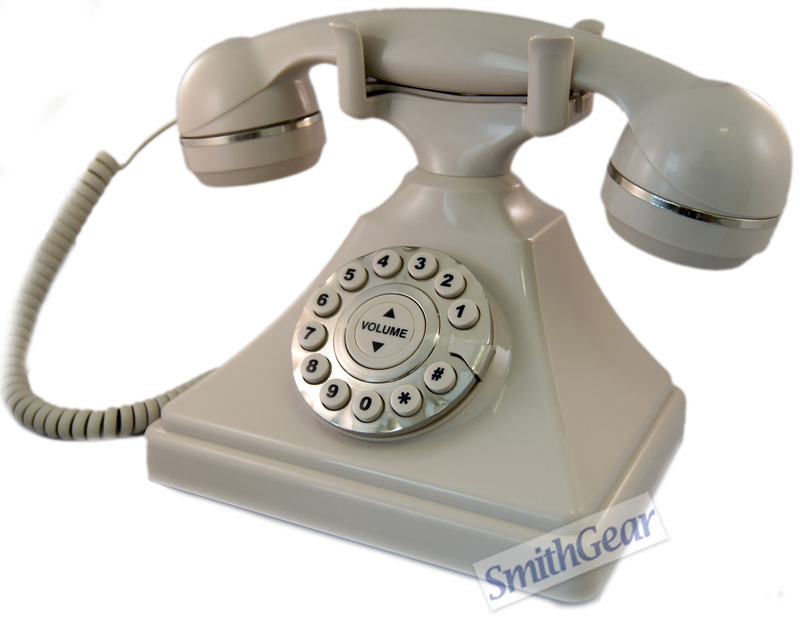 The 1930 Retro Desk Phone in ASH adds a classic style and look to almost any decor. This sturdy desk telephone is built with commercial grade construction and has the feel, look and size of the original 1930's phone. The phone features excellent sound quality (with 8 levels of volume control) and a genuine bell sounding ringer. While it looks like a rotary dial it actually has convenient touchtone push buttons for easy dialing. The curly handset cord on this phone is removable and can be swapped out with a longer cord. Comes with a 5 Year manufacturer's warranty.